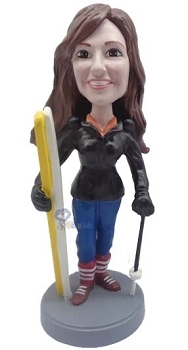 Our female skiing custom bobbleheads doll displays her skiing equipment. She smiles on with her boots, skates and her full apparels. She is damn ready for business.